There are not many circumstances that can put me off bicycling. This winter is one of those rare instances. But it’s not for the reasons most would think. The biting cold? Once you know how to dress, it’s preventing overheating that can be the problem—with the possible exception of feet. But my commute is right about 7 miles, which isn’t long enough to make that an issue. 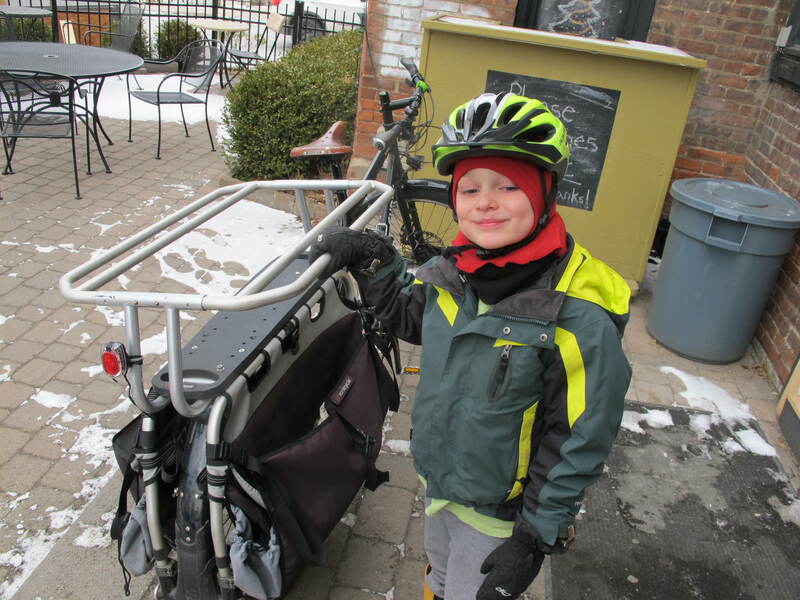 For around town riding, temperature rarely presents an obstacle. And it’s not the dirt and grime and slush on the roadway. You can keep most of that off your clothes with a good pair of fenders. Darkness? Nope. Whether you choose a system based on rechargeable batteries or one that generates electrical power from a dynohub on the front wheel, you can see and be seen just like any other vehicle on the road. Any industry exercises this kind of deep-seated monopoly when it becomes the dominant means of satisfying needs that formerly occasioned a personal response. The compulsory consumption of a high-powered commodity (motorized transport) restricts the conditions for enjoying an abundant use value (the innate capacity for transit). Traffic serves here as the paradigm of a general economic law: Any industrial product that comes in per capita quanta beyond a given intensity exercises a radical monopoly over the satisfaction of a need. Beyond some point, compulsory schooling destroys the environment for learning, medical delivery systems dry up the non-therapeutic sources of health, and transportation smothers traffic. Now this may all sound highly theoretical and even utopian or silly, just as it probably did in 1974, when it was first published. But that is because of our equally deeply entrenched cultural myth of eternal progress. Nevertheless, we’ll bring it back to the current consequences of this radical transportation monopoly and how it is screwing with my ability to get to work. Well said MR! I really responded to the perpetual passenger. I have to say, his wordage was a little overly articulated. But, he had me at perpetual passenger. On another note, maybe it’s not that we are expecting continuous growth, but more… Despite our folly, be it minimal or seemingly apocalyptic, the human trend is toward collective learning. We have overcome some amazing challenges here on earth all the while digging up brand new ones, some of which might in the end do us in, and I would argue that that too is ok and part of it. But in the meantime, it is important to pat ourselves on the back a little, say wow! And as you so eloquently encourage, be mindful of our expectations and demands on the environment. Sure, collective learning is nice. But you get into the law of diminishing returns–today’s cars are basically the same as 100 years ago, but overlaid with a ton of computer stuff. I like the dumb phone that hung on our kitchen wall when I was a kid. In any case, learning does nothing to change the second law of thermodynamics. Recently I was discussing the inevitability of our low energy future, and, along the same lines, he said “Do you know how many people in the world are currently working on PhD’s?” This is not about some Eureka moment of discovery, it’s about the end of the vast excess energy inputs we’ve been enjoying.